Sound easy, right? Let’s break it down one by one. The minimum age to drive with Uber is 21. You must have a valid driver’s license issued in the state you drive. Secondly, you need to have an in-state registration for the car you will be using. The car does not need to be in your name, but the registration must be current. Lastly, as an UberX driver, you must be insured to drive, even if the car is not in your name. Your name must appear on all insurance documents. If you recently moved to another state and plan to drive with Uber, it’s important to update your license, registration, and insurance asap. Your driving records must be clean for the past 7 years in order to drive for Uber. Tickets for minor violations probably will not hurt your chances to be qualified. But major violations such as a DUI will disqualify you for sure. Similiar to the driving record check, Uber will run a background check on you. You will be allowed to drive only if you pass the check. You can drive your own or someone else’s vehicle as long as your name appears on the insurance document. The car must have 4-doors and be 2000 or newer (for San Francisco Bay Area, requirements vary by location), free of major damages. Other cities may require newer cars, such as 2011 or newer for New York City and Chicago. Finally, the car must pass the mechanical inspection by an Uber approved inspection site. If you don’t have a car, Uber can help you finance one through their partnership with major dealerships. 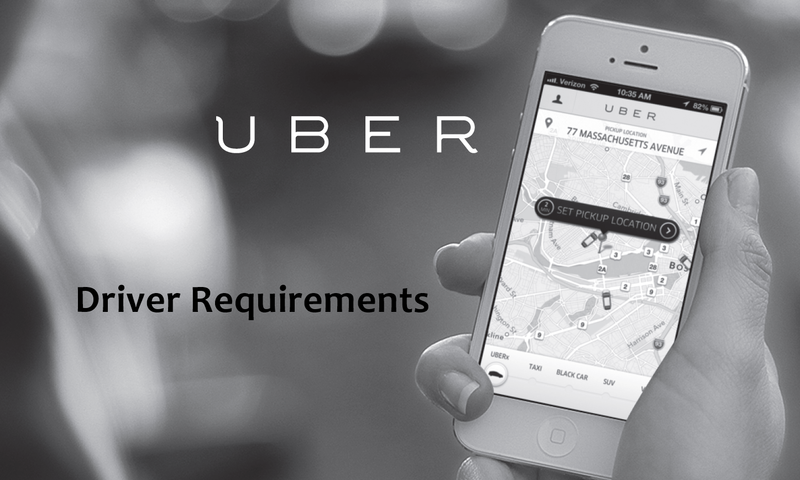 Check Uber’s website for financing eligibility requirements. Uber’s Driver app handles all the work, from accepting a fare, communicating with the rider, to completing the ride. Everything is done on the app. So, a smart phone is a must! The app can be installed on iPhone 4S, 5, 5C, 5S, 6, and 6 Plus running iOS 7 or later, or devices running Android 4.0 or later. If you don’t have a smart phone, Uber may provide you with one, and you will be charged for a weekly subscription fee. If you’ve been thinking about driving with Uber, now is a great time to start. New Uber drivers receive up to $300 in bonus after completing 20 rides. Sign up below or use this link.